Founder Joe Baker’s family has been growing corn and making moonshine in the Great Smoky Mountains for over two-hundred years. 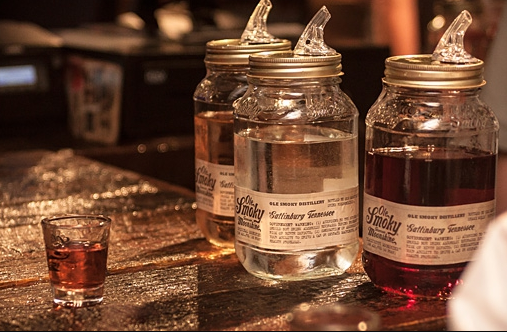 Located in Galtinburg, Tennesee, Ole Smoky was founded after a state law was changed that made the distillation of moonshine legal. They currently produce White Lightnin’, Moonshine Cherries, Original Moonshine, Blue Flame (126 Proof), Lemon Drop Lightnin’, Strawberry Lightnin’, Hunch Punch Lightnin’ as well as over ten more unique flavors.